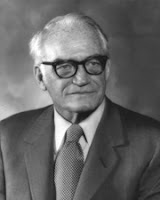 I thought that I would expand on this disagreement about what Barry Goldwater (seen here)knew and what he said about UFOs and the possibility of a crash outside of Roswell. I published a copy of the letter that Goldwater had sent to Kent Jeffrey in which Goldwater mentioned the Roswell case. Skeptics be lieve, and I’m not sure they’re incorrect, that Goldwater assumed that the Roswell debris was housed at Wright-Patterson Air Force Base but he didn’t know. Let me take a moment to explain that. 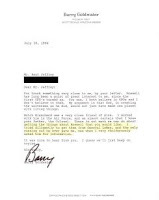 Kent’s letter was from 1994, after Roswell had entered the national psyche. Jeffrey had asked about the Roswell case, so we can draw no specific conclusion from this, other than the answer might have been tainted by either the information in general circulation or by the specific questions asked by Jeffrey. While this quote does little to confirm the crash at Roswell, and it was conducted in 1994, it does establish that Goldwater asked LeMay about the "Blue Room" as it has come to be known, and that LeMay "cussed him out." Remember, some skeptics (okay, CDA specifically), had questioned this part of the story. So, it proves that LeMay was capable of "cussing out" a friend and a United States senator. This would suggest that the topic discussed, and here we know that it was UFOs and the "landing" of a spaceship. This would suggest that there was a point that friendship ended and LeMay was talking to Goldwater as a superior officer to a subordinate. There is another quote, this one from the April 25, 1988 issue of the New Yorker, that is also interesting because it predates the explosion of Roswell information. True, Charles Berlitz and Bill Moore’s The Roswell Incident had been published, but its circulation was limited to those interested in UFOs and its importance to the outside world was confined to UFO enthusiasts. That doesn’t mean that there couldn’t have been contamination, just that it isn’t as easy to establish. In the New Yorker magazine, Goldwater is reported to have said, "I used to receive a hundred calls a year from people who wanted me to get into the Green Room [clearly he means the Blue Room] at Wright-Patterson Air Force Base, because that's where the Air Force stored all the material gathered on UFOs. I once asked Curtis LeMay (seen here) if I could get in that room, and he just gave me holy hell. He said, 'Not only can't you get into it but don't you ever mention it to me again.'" In a web search I did find a couple of spots where it was reported that Goldwater had said that when he asked LeMay he was told, "Not only no but hell no. And if you ever ask again I’ll have you court martialed." I was unable to establish an original source for this, but I remember seeing it printed in one of the tabloids. Yes, I know that’s not a good source, but they published a copy of the letter in which Goldwater made the statement. I have not found my copy of that. I saw it a number of years ago. So, where does this leave us? Well, we have multiple sources which quote Goldwater (including letters he wrote himself) referring to the Roswell case specifically and to a UFO landing generally. We have him talking about it being highly classified, so high classified in fact that he could not gain access as either a United States senator or an Air Force major general. And he confirmed in those sources (I’m thinking the New Yorker and the Larry King broadcast would be hard to dispute) that LeMay cussed him out. The only thing we can’t establish is if this referred to the Roswell UFO crash. It certainly suggests that there are some highly classified secrets out there that deal with UFOs and some sort of physical evidence from them. It also opens the door for the Roswell case... Goldwater did use Roswell in his later communications. We also see some of the interesting dynamics at work here. LeMay, as a general (meaning four stars) read the Riot Act to his subordinate, a major general (meaning two stars). He made it clear that the major general would not be allowed to refer the material. Friendship, on this point, did not matter. Had Goldwater attempted to do an end run by using his power as a senator, he would have had no more luck than he had as a major general. Powerful though he was as a senator, that simply didn’t open the door into this highly classified arena. Goldwater had the grace, and the intelligence, not to push it farther. He knew that was important enough to be kept secret and the moment that one senator was brought in, then others would want to know and at that point the secret was out. Contrary to what the skeptics say, the situation has been established with a proper documented record. We know the story of Goldwater and LeMay is true, and, according to Goldwater, it concerned UFOs. What we don’t know is if it related directly to Roswell. I suspect it does, and Goldwater suspected it did, but that just doesn’t get us to the end. Not all that long ago, Stephen Hawking made some remarks about UFOs and those who saw them. I’d like to say a couple of words in his defense. Yes, I listened to his statement about UFOs only appearing to cranks and weirdos. Yes, it was an ignorant statement proving that he knows next to nothing about UFOs or our history. What he demonstrates is the perception of the field from those on the outside. They haven’t read the literature, talked with the witnesses or examined the evidence. All they know is what they have read in the newspaper or see on the evening news. They don’t watch the documentaries, some of which are good and all too often bad. They only know of the smoke thrown up by the debunkers, knowing that the McMinnville pictures are faked, for example, because some debunker said so. And of all this, who is the real enemy? It’s us. We continue to support cases when the evidence is conclusive that the case is faked... Maury Island springs to mind. The alien autopsy, which has been admitted to be a hoax by nearly everyone involved and we still hear reasons why it isn’t. Remember the contactees... those men and women who claimed to have flown to Venus and Mars and planets far outside our solar system. Some of them are still out there and I met one not long ago who was talking about some kind of interplanetary meeting he had attended on Saturn. The contactees grab some headlines and there are a few of us who still support their stories. How does that make all of us look? Now we have Stephen Greer calling down UFOs with his flashlight and we have exopolitics talking about the various alien races visiting us. If we suggest to them that some of that "testimony" might not be accurate, then we are attacked rather than the facts examined. We know that some of those "witnesses" are making it up, but no one really challenges them. But suggest that all is not right and the hate email begins to roll in. We share program venues with people we know are among the weirdos and cranks and by doing so, elevate their credibility and reduce our own. We never seem to realize that the outside world isn’t as aware of the nuances as we are inside so we continue to shoot ourselves in the foot. All this was one of the reasons that I insisted we expose Frank Kaufmann as soon as we had the proof. We needed to do that because we knew his testimony could no longer be trusted. But, how many others are still telling their stories with the support of many of us even though we know that they are less than candid? So, rather than attacking Hawking because he made a comment we don’t like, maybe we should ask ourselves why he would say such a thing. Maybe we should attempt to clean our own house so that the perception out there isn’t that everyone who sees a UFO is a nut and a crank... and let’s remember that Jimmy Carter saw Venus which pretty much tells us that anyone can make a mistake but that doesn’t make him or her a crank. Some of you might remember that more than a year ago it was announced that KPMG was going to audit my Roswell books, looking for errors. That audit was supposed to end prior to the anniversary celebration in Roswell, or in other words, in July of last year. You might remember that it was announced in August 2007 that I was now in big trouble because the audit was going to begin. I wrote to both the KPMG office in Prague and to the European headquarters in London offering my assistance. I mean, if they were going to audit my work, even if this was supposed to be a "secret" I thought I could help them out. The secret was known to me so there was no reason to maintain it now that I knew. I am pleased to announce that there have been no negative results to either of these audits. This doesn’t mean that there weren’t mistakes. All we have to do is point to Frank Kaufmann to realize a mistake. But then, there was nothing malicious or deceitful here. Kaufmann told his story, provided documentation and was vouched for by members of the city of Roswell who knew him. There was no reason to reject his testimony out of hand. Even CBS News believed him (well, that’s not exactly a ringing endorsement but they were supposed to be unbiased and they believed him). What worked for me here was that I forced the Kaufmann issue as soon as I knew the truth about him. Rather than sit on it, I insisted that we release the information. I will point out that others found the proof... that is, Mark Rodegheir, Don Schmitt and Mark Chesney were responsible for uncovering the truth and neither the KPMG auditors or members of the skeptical community did that. True, the skeptics said that Kaufmann couldn’t be trusted but they based that on their belief that there was no crash at Roswell rather than on finding evidence that proved the story bogus. 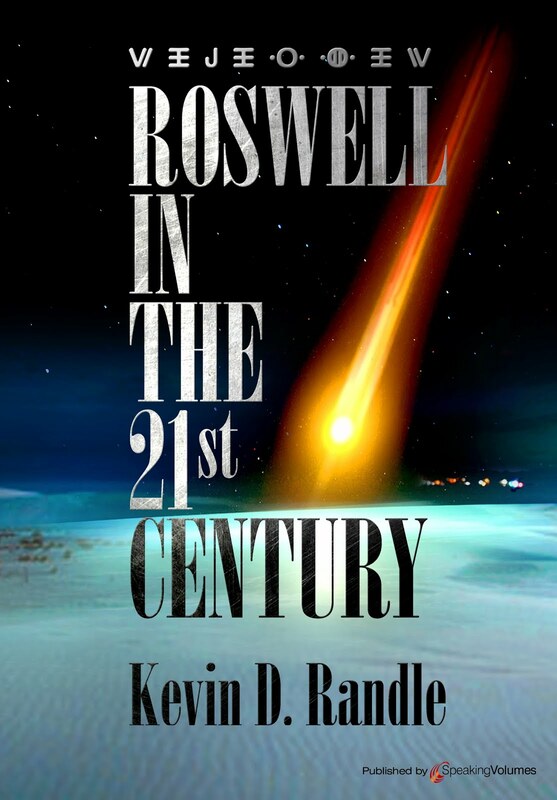 In fact, it can be noted that some of the criticisms of my Roswell books are invalid. With tapes, notes and other documentation, I am able to demonstrate that I had fabricated nothing, merely reported, accurately, what I had been told by various witnesses. In fact, in cases where the witness later accused me of misquoting them, I was able to prove that such was not the case. Take the interviews conducted by Don Schmitt and me of Brigadier General Arthur Exon. He told us, and he told others, that he had flown over the crash sites in New Mexico and that he talked to colleagues at Wright Field (later Wright-Patterson Air Force Base) about the debris and the bodies of the flight crew killed. Some researchers said that we had misquoted Exon. Well, I sent him a copy of the book UFO Crash at Roswell and a copy of his taped interview and asked him what I had misquoted. He wrote back saying, "The quotes were accurate," I had just given them more emphasis than he believed they deserved. He didn’t retract a thing but confirmed their accuracy and if he didn’t like the emphasis, well, tough. The question that needs to be asked here is if a mistake can be considered deceitful or is it just a mistake? A good case on point would be the discussion we just had on Lydia Sleppy. Skeptics said that no one could interrupt a transmission on the teletype machine so her story was rejected. But as we read both some of her testimony and her affidavit, we discovered that there was a mechanism to interrupt a transmission. Does this mean that those who failed to notice this were deceitful? No, it means they made a mistake. What all this means, simply, is that there is no evidence that I fabricated anything, that I misrepresented anything and that if the information turned out to be inaccurate, it qualified as a mistake rather than the more grandiose FALSE CLAIM. There certainly wasn’t any fraud on my part. So, I now close the book on this episode and move on to other, more important issues. I’m going to depart from the normal topics here for just a moment, though, this might be considered a different perspective. Our soldiers, Marines and sailors have been doing an extraordinary job in the Middle East for more than five years and I’ll bet that almost no one can name any of them unless he or she has served in the war zones. If I ask the question, those named will probably be those who have achieved infamy by bringing disgrace upon themselves, the United States, and the military. The media loves these stories because those of a soldier, sailor, Marine or airman doing something positive is just too common to be considered newsworthy. Who wants to read stories of soldiers, sailors, Marines and airman doing the good they regularly do. Part of the remedy is to publicize the heroism of these patriots and I’m inspired to do this with the announcement published today that 19-year-old Army Pfc. 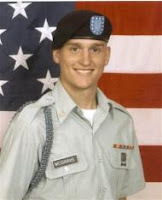 Ross McGinnis of Knox, Pa., will, on June 2 be awared the Medal of Honor. According toMcGinnis the announcement, McGinnis distinguished himself by extraordinary herois m in the gunner's hatch of a Humvee on Dec. 4, 2006, when a grenade sailed past him and into the truck where four other soldiers sat. He shouted a warning to the others, then jumped on the grenade that was lodged near the vehicle's radio. It detonated killing him but saving the lives of the four men in the vehicle with him. For conspicuous gallantry and intrepidity at the risk of his life above and beyond the call of duty: Sergeant First Class Paul R. Smith distinguished himself by acts of gallantry and intrepidity above and beyond the call of duty in action with an armed enemy near Baghdad International Airport, Baghdad, Iraq on 4 April 2003. On that day, Sergeant First Class Smith was engaged in the construction of a prisoner of war holding area when his Task Force was violently attacked by a company-sized enemy force. 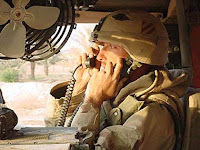 Realizing the vulnerability of over 100 fellow soldiers, Sergeant First Class Smith quickly organized a hasty defense consisting of two platoons of soldiers, one Bradley Fighting Vehicle and three armored personnel carriers. As the fight developed, Sergeant First Class Smith braved hostile enemy fire to personally engage the enemy with hand grenades and anti-tank weapons, and organized the evacuation of three wounded soldiers from an armored personnel carrier struck by a rocket propelled grenade and a 60mm mortar round. Fearing the enemy would overrun their defenses, Sergeant First Class Smith moved under withering enemy fire to man a .50 caliber machine gun mounted on a damaged armored personnel carrier. In total disregard for his own life, he maintained his exposed position in order to engage the attacking enemy force. During this action, he was mortally wounded. His courageous actions helped defeat the enemy attack, and resulted in as many as 50 enemy soldiers killed, while allowing the safe withdrawal of numerous wounded soldiers. Sergeant First Class Smith’s extraordinary heroism and uncommon valor are in keeping with the highest traditions of the military service and reflect great credit upon himself, the Third Infantry Division "Rock of the Marne," and the United States Army. In Afghanistan a single Medal of Honor has been awarded and was earned by Lt. Michael P. Murphy, a Navy SEAL. On June 28, 2005, four Navy Seals, Lt. Michael P. Murphy, Sonar Technician 2nd Class Matt Axelson, Gunner’s Mate 2nd Class Danny Dietz, and Petty Officer Marcus Luttrell, were inserted into the Kunar Province, Afghanistan on a counter-terrorism mission called "Operation Red Wing." Their objective was the kill or capture of a high level enemy fighter. Before days end, nineteen men would be dead. Three of those Navy Seals on the ground would be dead, the fourth would owe his life to a brave Afghan who gave him sanctuary despite enemy demands to turn over the SEAL. A rescue helicopter, an MH-47 Chinook, carrying eight US Navy SEALs and eight Nightstalkers - members of the Army’s elite 160th Special Operations Aviation Regiment, would be shot down. All sixteen men perished. It is believed an enemy RPG (Rocket Propelled Grenade) downed to craft. In the course of their mission, the four SEALs are believed to have been compromised by locals sympathetic to the enemy. The enemy immediately began to attack the four SEALs. Virtually surrounded by enemy forces, it was reported by the rescue helicopter that the SEALs put up "one hell of fight" [my words]. As it became obvious the enemy would soon over run the four men, Lt. Michael P. Murphey risk his life by leaving the safety of cover to go to higher ground and radio for help. Shot in the back and his radio now laying on the ground, Lt. Murphey picked up his radio and continued to attempt to radio for help. Lt. Murphey, Sonar Technician 2nd Class Matt Axelson, Gunner’s Mate 2nd Class Danny Dietz were all killed by enemy fire. Petty Officer Marcus Luttrell survived. He was knocked unconscious during the fighting. When he revived, he found two of his fellow SEALs dead and the third no where to found. He was rescued a couple miles away by an Afghan local who found him and hid Luttrell in his village. The brave Afghan later notified coalition forces that Luttrell was safely hidden at his village. It is reported that the villager is said to have told the enemy fighters who demanded the SEAL be given to them that the SEAL was a "guest" and "would be protected to the last member of the village!" "By his undaunted courage, intrepid fighting spirit and inspirational devotion to his men in the face of certain death, Lt. Murphy was able to relay the position of his unit, an act that ultimately led to the rescue of Luttrell and the recovery of the remains of the three who were killed in the battle" has been awarded the Medal of Honor. The Medal was presented at a special ceremony October 22, 2007. I hope that those of you who regularly read this blog don't mind this short report. I just think we all spent too much time attacking one another and that when someone does something extraordinary, we should recognize it. Since we are now playing this game, once again, I thought I would publish some of the nonsense that comes from Kal Korff. This is written as an open letter to Korff, but I don’t believe I’ll get a logical and coherent response to it. The following is based on Korff’s various writings including the four emails that he sent to me over a three day period in March 2007 (Not the two he later claimed). I will note here that in referring to these emails, I did not say he bombarded me with them and his continued insistence on that term is not only inaccurate, but in his demented world would be termed a LIE. I would like him to locate the place where I said bombarded. And I wondered if he planned to correct this erroneous statement now that it has been brought to his attention? Kal, let me remind you what you have said about making mistakes, "For the record, if I am indeed ‘wrong’ about anything, I have no’ problems, either admitting this or retracting anything which is incorrect. This offer of mine is timeless and universal, and it is available especially to my so-called self-described ‘kritics’ — which includes Major Kevin Randle." To remind you of the facts, you sent a long email on March 8, 2007 which ran to five pages. Contrary to your claims, it did contain threats including death and lawsuits. Yes, you did say these were not threats, but calling an orange an apple doesn’t make it one and saying a threat isn’t one doesn’t change it. Contrary to your claims, I read each of the emails and I made copies of them. Yes, I did then delete them. But I know the contents and have hard copy of each of them because I always save emails that make charges and contain threats. Do you plan to correct your statements that I did not read them, which, in your world would be labeled a LIE. Now, let me ask you a few questions for clarification. 2. You say that you really were a captain (insert foot stomp here) in the Israeli based S3 (which you now call YS3) and that you would retire from these activities in five years. You said that you would not take a promotion even if offered one. Would you care to explain what happened to this statement and why you took the promotion? "Sergeant Melvin E. Brown was at the second site, guarding the truck containing alien bodies. He also guarded the hangar at Roswell Army Air Field while crates from the site were held there." She then notes, "FACT: THERE IS NO HARD EVIDENCE that Sgt. Melvin Brown was EVER a "witness" to the events at Roswell. Unfortunately, Sgt. Brown died YEARS BEFORE any UFO "researchers" such as Kevin Randle could ever interview him." It is her opinion that this is a FALSE CLAIM, based, I’m sure on your opinion that there was no crash at Roswell and therefore anyone claiming to have seen anything unusual was telling a LIE. However, since this was based on an interview with Melvin Brown’s family, as noted in the book through footnotes, and since we were describing the relevance of each person in this little play at that point you, I mean she, quoted, the criticism is invalid. At no place do we suggest that we ever interviewed him and the astute reader knows that. In fact, on page 82 of The Truth about the UFO Crash at Roswell, we again mention Brown and write, "Melvin E. Brown, a sergeant with the 509th , told family members that..." See that? Family members. But we can say in your book you mislead the public by writing, "Finally as the pro-UFO Roswell researchers will admit when pressed, Beverly Bean is the only person in the Brown family who has made these claims about her father. Bean’s sister and her own mother have never confirmed the account." This is, of course, not true and since you reference the 1991 interview conducted with the Brown family, you should have known that both her sister and her mother confirmed the account on video tape. So, you must have known the truth but rather than writing, "In 1991, both Bean’s sister and mother who had failed to corroborate the story earlier, are now on the record..." you chose to conceal this evidence from your readers. So, I can write about your FALSE CLAIM, and provide information that suggests you should have KNOWN the truth at that time, and you therefore must be LYING. 5. Let’s talk about Edwin Easley since you now choose to bring him up. 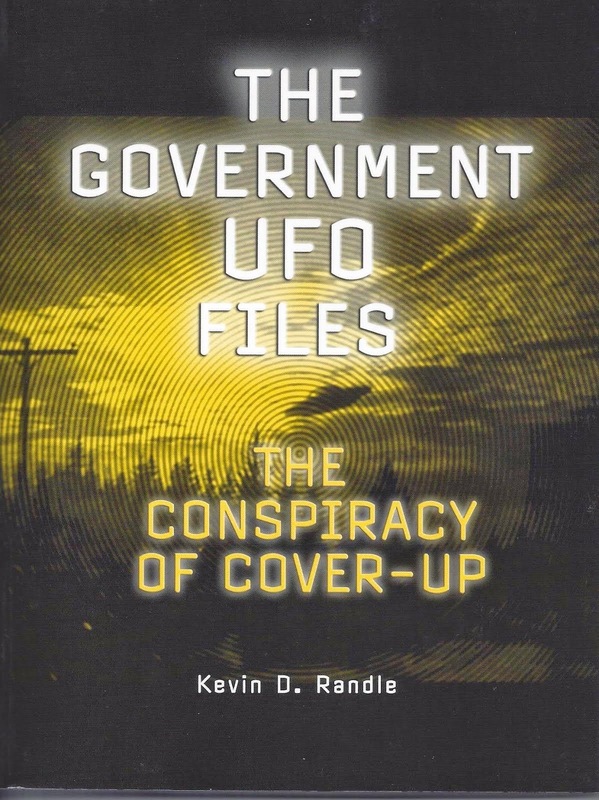 On page 91, of your misleading book, you wrote, "After initially refusing to confirm to Randle that he was even there at Roswell, Randle claims that Easley, on his deathbed, eventually confessed that not only had he "been there," but that he had also seen bodies." Kal, this is a mishmash of testimony and statements. In my initial conversation with Easley, he not only confirmed he had been there, but that he was the provost marshal (please note the proper spelling). In the taped interview conducted on January 11, 1990, I said, "I’m doing some research into the 509th Bomb Group and I understand you were the Provost Marshal there at one time." So, that sort of blows your statement out of the water and proves it to be inaccurate and untrue. In your world, this would be a LIE and a SLANDER, and, of course, you’d want to repair this as you said you would if you learned that you had made a mistake. And, I suspect the comments about having been there and having seen it were comments made by Curry Holden and not Edwin Easley. And the initial refusal to acknowledge he was in Roswell was Sheridan Cavitt (who, BTW was not a COLONEL as you suggest but was, in fact, a lieutenant colonel so here is another mistake), the darling of the anti-Roswell crowd, who was knowingly LYING at that point, something you all fail to mention. I believe you got the three testimonies mixed up. But wait, it gets worse for you. On page 92, you write, "According to Easley’s family, he was quite advanced in age when he spoke to Randle. His memory was failing him and Easley had a tendency to place himself in events at which he was not present." You attribute this to Dr. Harold Granich who you claim was Easley’s physician. Dr. Mark Rodeghier talked to Granich and got a story that is completely opposite of what you report. How is that? But wait... weren’t these statements really made by the family of Curry Holden who was 96 when I had the opportunity to talk to him... and isn’t the information that you attribute to Easley’s family and his doctor really the information we gathered from Holden’s family... I mean the wording is remarkably similar and it is not the first time you used the wrong quotes in the wrong place and attributed them to the wrong person. Now you didn’t talk to Easley’s family at all, did you? You have no idea what they had to say, nor do you know of the correspondence I have had with the family, nor that I have had dinner with one of his daughters, nor that she appeared in a documentary about Roswell adding to what Easley told the family. Not to mention fellow officers at Roswell who corroborate Easley’s role in the recovery... something that you don’t bother to acknowledge or to mention. In fact, I have a hand written statement by Edwin Easley that says, "This is information about the 1947 incident north of Roswell, New Mexico AFB... This case was presented on T.V. Unsolved Mysteries in September 1989." Kal, I just don’t know how you can recover from so many errors in so short a space, but you did say if you had made a mistake you had no trouble admitting it. Should I put in that quote again? So, now the question becomes, do you wish to continue this game, one that you are sure to lose, or will you stop now. 6. As just one final look into this there is your claim that we cannot prove that you ever said that you had an amazing IQ based on OMNI’s IQ test. Well, posted to Rob McConnell’s website, and I’m sure he’ll confirm it was there, he wrote, "01:00 am – 02:00 am EDT / 10:00 – 11:00 mp PDTKAL KORFF - Korff's Korner & SecretWar - Armed with an IQ of 219, according to the Omni Magazine’s World’s Hardest IQ Test; known worldwide for solving numerous mysteries, whether they are criminal, historical, scientific, or even "paranormal,"... So, let’s not pretend the proof isn’t out there. BTW, Kal, a V-2, contrary to what you wrote in your book, was not a "buzz bomb." That was the nickname of the V-1. So, would this be another LIE, or would you catagorize it as just a simple mistake... and if you do, how come you can make simple mistakes and all the rest of us are guilty of LYING and SLANDERING? And I resent your lectures on my belittling the military because some of the witnesses I have interviewed claimed that soldiers had threatened them. I have served in various components of the military for thirty years including in two war zones. I have earned the right to criticize them if I desire. You, on the other hand, have not worn the uniform of an American soldier in any war zone, let alone in the peacetime military, so keep your opinion to yourself. And, BTW, I am not drawing a pension so this becomes another LIE and SLANDER and you should retract it immediately, as you said you would. Oh, and can you tell me why the Israeli-based YS3's web site is hosted in Prague? And do you really think that a one page web site that allows us to learn nothing about the organization proves anything at all? I mean, if you were making all this up (which of course you would never do), this isn’t a very clever way to say, "See, they do have a web presence." After all, how hard is it to design a one page site? For something similar please see the movie, Shattered Glass and you’ll understand what I’m saying here. That’s it for now but please understand, I can do this all day, if I want... Look at the way we dismantled your Lydia Sleppy analysis, if you require yet another example. About a year ago, Billy Cox, writing in the Herald Tribune in Florida, told of an aging pilot, Ben Games, who said that he had served with Lieutenant General Laurence C. Craigie. Games, who was giving a talk to a UFO group, said that in the summer of 1947 he had flown Craigie, to Roswell, New Mexico to investigate what had been reported as the crash of a flying saucer. In that talk, Games only suggested they had remained overnight in Roswell and that Craigie had then returned to Bolling Army Air Field (near Washington, D.C.) to meet with President Harry Truman. Cox also noted that Games had a copies of various DD-214s, which is the standard military discharge papers, showing a strange 44 year military career. He also had his personal flight records back to 1942, but raising a red flag is the missing documents that would cover the critical July 1947 period. He has no explanation for that. Tony Bragalia talked to Games recently, and I verified much of what transpired in that telephone interview. Games said, again, that they made an unscheduled flight into Roswell from Wright Field in Dayton, Ohio, and that Craigie remained there for several hours. They then flew on to Washington, D.C. so that Craigie could meet with the president. 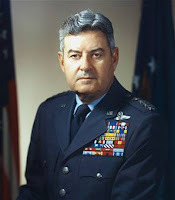 Games seemed to believe that Craigie was a close friend of General Curtis LeMay, who, in 1947 was in char ge of Research and Development for the Army Air Force. 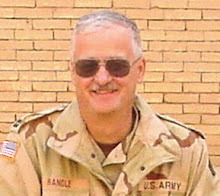 Craigie worked for LeMay, and that would mean, of course, that Le May knew about Roswell because he would have sent Craigie to New Mexico, and, more importantly, would tend to corroborate the tale told by the late senator and Air Force Reserve major general, Barry Goldwater. Remember, Goldwater once asked LeMay to show him the special room where it was alleged that debris and possibly bodies from the crash were housed. Goldwater told many that LeMay’s answer was "Not only no, but hell no, and if you ask me again I’ll see that you’re court martialed." Confirmation of this attitude came from Goldwater himself and I have a copy of a letter sent to former Roswell researcher Kent Jeffrey that tells us as much (seen here). Games, who is 84, according to what he has said, is a retired major who holds a PhD, flew in World War II, Korea and Vietnam and has some 737 recorded combat hours. Craigie, for those interested was the first American military pilot to fly a jet. Craigie (seen here) would later establish Project Sign . What this does is provide us with some information about who was involved in the crash retrieval, gives some corroboration that President Truman was kept informed (which, had there been a crash, is not that difficult to believe), and hints, once again at the importance of what fell. Games made it clear that had it been a weather balloon, or even a balloon array, those in Roswell, as well as those coming in to investigate including Craigie, would have recognized it as a balloon. While those in Roswell wouldn’t have been able to follow it all the way to Mogul, if that was the answer, Craigie certainly could have. Games made it clear that neither he nor Craigie saw a balloon. Games said that he had been living out of the country, working for, or heading up, several airlines and hadn’t realized how big Roswell had become. He said that he had not been sworn to secrecy. When he learned about the discussions of Roswell, he realized how he fit into the overall picture. If there is a flaw in this story, it’s those missing flight records. Some military pilots keep them religiously and others rely on the documentation supplied by Operations. He has other records to cover many other periods, but the critical ones, that would show a trip into Roswell are missing. How many times have we heard that? "I have everything but what I need to prove a point." I’m not saying anything other than those missing records bother me. It would have been nice for Games to be able to corroborate that flight into Roswell. That certainly would have silenced the critics but because the records are missing, they will have a field day. Games’ information could be important, but we just don’t know. Just once I wish we could get our hands on the documentation because no matter how good a cover-up might be, it just can’t be this good. Christopher Allen, among others, has raised questions about the Lydia Sleppy story and I believe it’s about time that those questions are addressed. It seems that there is a lot of misinformation out there about this aspect of the Roswell case and it is, as are all other parts of the story, now wrapped in controversy. Given our perspective today, meaning we’re about ten years removed from all the investigative activity and can peer at the case with 20/20 hindsight, let’s see if we can wade through all of this. As mentioned last time, the first known publication of the Sleppy story came in 1974 in the old SAGA UFO Report. That article said, in its entirety, "...[I]n New Mexico, a woman with a responsible position at a radio station received a call from the station manager. He had been out checking reports of a UFO which had crashed in a field and was trying to track down the rumor that pieces of the object were supposedly stored in a local barn. In his excited call to the newsroom, the station manager verified the UFO crash report, and also claimed he had seen metallic pieces of the UFO being carried into a waiting Air Force plane which was destined for Wright-Patterson Air Force Base. "As the woman began typing out the fantastic news item over the teletype to their other two radio stations, a line appeared in the middle of her text, tapped in from somewhere, with the official order: "Do not continue this transmission!" The next appearance of Sleppy, as far as I know, was in The Roswell Incident by Charles Berlitz and William Moore. They write, "Understandably bemused, Lydia placed the phone in the uncomfortable position between ear and shoulder and started to type McBoyle’s startling statements into the teletype. But after she had typed only several sentences the machine suddenly stopped itself. As this was a common occurrence with teletypes for a variety of reasons, Lydia was not concerned, though she had never been cut off the air before in the middle of a transmission..."
"...Moving the telephone from her neck to her hand, she informed McBoyle that the teletype had stopped at her end. "This time, according to her recollections, he seemed not only excited but under pressure and apparently speaking to someone else at the same time. His voice seem strained. ‘Wait a minute, I’ll get back to you... Wait... I’ll get right back.’ But he did not. Instead the teletype went on again by itself and started addressing Albuquerque, or Lydia directly. The sender was not identified and the tone was formal and curt: ATTENTION ALBUQUERQUE: DO NOT TRANSMIT. REPEAT DO NOT TRANSMIT THIS MESSAGE. STOP COMMUNICATION IMMEDIATELY." Note here that the FBI has not entered the case and while there are people quoted, it is not indicated if those people said those things, if it was one person quoting someone else, or if it was exactly what Sleppy had told to Moore and Berlitz. In Crash at Corona by Stan Friedman and Don Berliner, we learn something interesting. They write, "While he [meaning Johnny McBoyle here] refuse to discuss the matter even after almost half a century, another principal has been found. Lydia Sleppy, the teletype operator whose message was interrupted so mysteriously. Long thought to have died, she was located by Stanton Friedman in October 1990 and interviewed. Apparently Friedman had forgotten that he and Bobbi Slate had used the Sleppy story long ago (or even he failed to make the connection after he began his Roswell research). The critical paragraph in that interview is, "I went back and asked Mr. [Karl] Lambertz (he came up from the big Dallas station) if he would come up and watch. John was dictating and [Karl] was standing right at my shoulder. I got into it enough to know that it was a pretty big story, when the bell came on [signaling an interruption]. Typing came across: ‘This is the FBI, you will cease transmitting.’"
Well, now we have the FBI involved, but there is nothing to suggest where that came from. Sometime between the publication of The Roswell Incident and the investigations that began in the 1990s, Sleppy became convinced that it was the FBI who had interrupted her. Please note one other, now important, fact. She said that the bell came on signaling an interruption. We’ll see what that means later. When I interviewed Sleppy, she told me, "I called Mr. Lambertz, Karl Lambertz, who was acting in Mr. Tucker’s place [that would be Merle Tucker, the station owner who was away on business]... He was the program director. I called Mr. Lambertz up, there was something coming through and I had just started - I don’t know how much I typed but I was typing what John [Johnny McBoyle] dictated when the signal came on that this was the FBI and we [should] cease transmitting." I asked if she knew what FBI office but she didn’t. She said, "It was the FBI that stopped us." When I was writing my book, UFO Crash at Roswell, we suggested that it was the FBI office in Dallas and I frankly don’t know where that notion came from. I believe that Don Schmitt suggested that because the FBI office in Dallas had been involved in the balloon end of the story, meaning that we have a document from the FBI about the balloon as told to them by Major Kirton from the Fort Worth Army Air Field, that Don might have assumed that the FBI office in Dallas was involved... of course that might have been my assumption as well. Karl Pflock in his Roswell: Inconvenient Facts and the Will to Believe, wrote, "Subsequently, I did some further investigating. Merle Tucker told me the Teletype in KOAT’s office [that is the Albuquerque office of his fledgling radio empire] had both a send and receive capability, but did not know if it was possible for an incoming message to be automatically printed on it without some enabling action being taken first. I was told by several journalistic old-timers that in the 1940s send-and-receive Teletypes definitely had to be manually set in one mode or the other. If a machine was sent to sent, it could not receive an incoming message. A bell would ring to alert someone to switch over to receive." Kal Korff in his book wrote, "In researching the technical aspects of what would be required to place such a "tap" on the kind of machine that Sleppy had to have used at KOAT, it was discovered that the particular model she used had both send and receive capabilities. This discovery seemed to initially support the feasibility of Sleppy’s story. However, the credibility of Lydia Sleppy’s account began to unravel when the Dallas FBI field office noticed that in order to have received a message, the bell on top of her teletype would have gone off to indicate an incoming transmission. At that point, in order for Sleppy to receive the incoming message and have it print out for her to view, she would have to have then thrown a manual switch to put the machine into the receive mode." The implication here is clear. The Sleppy tale can be discounted because there had to have been a warning bell and she would then have to flip a switch. So, here’s where we are. I don’t know when the FBI entered this tale. Sometime between Sleppy first appearing in the old UFO Report and later in The Roswell Incident and the 1990s. I don’t know if this something she remembered, if it was something someone suggested to her and she incorporated into her story, or if it is a bit of confabulation. In the end, it might not be an important fact, other than to suggest that memories are fallible and we must be careful when interviewing witnesses after decades have passed. Assigning it to the Dallas office is something that Don Schmitt or I did based on our research at the time. That doesn’t mean that there was no message into KOAT, nor does it mean that the FBI didn’t send one. Only that we found no paper trail for it and others who have followed have found no paper trail. That would be nice, but we don’t have it. I might point out that those who discount the tale because the FBI said they had no paperwork forget that if the case is classified, they might not have the sufficient clearances to see that paperwork. Yes, I can point to other FBI operations that were so highly classified that only a handful of agents knew of them, and one project, Operation Solo, was so highly classified that even presidents were unaware of it and agents working in the same New York office didn’t know it was happening. The important facts, though, are these. Lydia Sleppy told this story to researchers prior to the publication of The Roswell Incident, she was quoted in that book, and in the magazine article. She told us all that her transmission was interrupted and she was told to cease that transmission. Karl Pflock and Kal Korff told us there was a mechanism for interrupting transmissions, but it required that the operator then make a manual change... Sleppy told Friedman, prior to Pflock’s and Korff’s criticism that, "...when the bell came on [signaling an interruption] [Emphasis added]." In fact, in the affidavit, published in Pflock’s book (and gathered by the Fund for UFO Research) Sleppy said, "As I typed McBoyle’s story, a bell rang on the teletype, indicating an interruption. The machine then printed a message something to this effect, "THIS IS THE FBI. YOU WILL IMMEDIATELY CEASE ALL COMMUNICATION." In other words, Pflock and Korff were right about a signaling bell, and Sleppy mentioned that in her interview with Friedman and later in her affidavit. She would have then made the manual switch and the result would have been the message typed out in the middle of the story that she was putting on the teletype. The fact that she mentioned that bell in two separate interviews is important to this. And that both Pflock and Korff who wrote their books after this information was available, and Pflock actually has the signed affidavit in his book is interesting. It suggests they were interested in dismissing testimony rather than finding facts. There is nothing that has been offered that disqualifies the Sleppy testimony. She told the tale prior to the overwhelming interest in Roswell and that is documented. She told us that her transmission was interrupted and said that there was a bell to alert her to incoming transmissions. No, she didn’t say that she flipped the switch, but clearly she did. Sometime after her first telling the story, the FBI connection entered the picture, but I have found nothing to suggest how that happened. What we have here is another of the witness testimonies that is not fatally flawed as the debunkers have suggested. All we need to do is look at it carefully... and if there is a flaw, it’s that we don’t have the teletype copies to prove the point. Once again, the documented evidence as eluded us (and yes, I’m getting tired of that). Korff wrote, in his book, "...McBoyle also mentions to Sleppy that there’s talk of ‘little men being on board’ and asks her to begin immediately typing up his story..." He references The Roswell Incident. His discussion at this point is accurate, meaning that The Roswell Incident does mention this. The quote that appears in The Roswell Incident is, "Lydia, get ready for a scoop! We want to get this on the ABC wire right away. Listen to this! A flying saucer has crashed... No, I’m not joking. It crashed near Roswell. I’ve been there and seen it. It’s like a big crumpled dishpan. Some rancher has hauled it under a cattle shelter with his tractor. The Army is there and they are going to pick it up. The whole area is now closed off. And get this - they’re saying something about little men being on board... Start getting this on the teletype right away while I’m on the phone." In the text, there is no way of telling who was relating this. Was it dialogue created based on what Sleppy had said to investigators? Was it the story told by McBoyle? Just who is speaking here, and what is the attribution for it? We have no answers to any of these questions. Here’s what I know. When I interviewed Lydia Sleppy, after we had talked about the teletype interruption, I asked, "He [meaning McBoyle] didn’t mention seeing bodies or anything like that to you?" "No... I mean I’ve read everything that I can get my hands on..."
This means that we can’t reject Lydia Sleppy because Berlitz and Moore cobbled together some dramatic dialogue that suggests McBoyle told her about bodies. According to her, this simply isn’t true. All of this means that the reasons for rejecting the Sleppy tale have fallen by the wayside. She told her story prior to the Roswell explosion, she has remained fairly consistent (though I would like to know when this FBI idea entered the story), there was a mechanism for interrupting the transmission which was published before either Pflock or Korff raised the issue, and the talk of bodies comes back to Berlitz and Moore with no way of knowing where they got it or why they halfway attributed it to Sleppy. On the other hand, we do not have any written records from the time. There is no copy of the teletype message, no handwritten notes, and nothing to corroborate her tale, other than she did work for KOAT, she did use the teletype, and Merle Tucker did say that when he returned from his business trip, he was annoyed at both Sleppy and McBoyle because he was afraid they might have cost him his FCC permits. The bottom line is this. We have nothing to suggest we reject the Sleppy tale and the only corroboration for it is other testimony. Yes, documents would be nice. Tony Brangalia sent me a note about the Lydia Sleppy story as it relates to the Roswell case and since we can document that she told this prior to interviews with Stan Friedman, Bill Moore and me, I thought I should pass it along. "Lydia's son was actually relating to Gutilla his own sighting of a UFO that he had seen in the woods sometime prior. He then mentioned to Peter that his mother (Lydia) had a far more interesting UFO story to tell. "Gutilla happened to relate to Stan Freidman his unusual conversation with G. Sleppy... Today Gutilla seems somewhat circumspect that his unacknowledged lead had helped provide to the world what would one day become the Roswell saga.... Gutilla is still around as a low-key 'hobbyist fortean,' with a few articles he authors appearing on the net from time to time, often on cryptozoological subjects like Bigfoot. "Lydia's story first appeared in an article (related only in part, and without using her name) in the Winter 1974 issue of Saga (actually it was Saga’s UFO Report on page 60). The article was authored by Stan Friedman and by his co-author Bobbi Allen Slate (deceased.)" So what did that short note say? "...[I]n New Mexico, a woman with a responsible position at a radio station received a call from the station manager. He had been out checking reports of a UFO which had crashed in a field and was trying to track down the rumor that pieces of the object were supposedly stored in a local barn. In his excited call to the newsroom, the station manager verified the UFO crash report, and also claimed he had seen metallic pieces of the UFO being carried into a waiting Air Force plane which was destined for Wright-Patterson Air Force Base. Clearly this is the Lydia Sleppy story, published four years before Marcel said a word to any UFO researcher. We know that the "station manager" was a reporter, Johnny McBoyle, who told researchers that he’d seen a craft that looked like a battered dishpan. We know the station owner was Merle Tucker who owned KSWS in Roswell and had been out looking to buy another radio station or two. I have talked to all these people. Lydia Sleppy confirmed for me that she had been there and had been attempting to put the flying saucer crash out on the wire when she was stopped... ordered to stop. Tucker told me that he was afraid that his employees, Sleppy and McBoyle might have gotten him into trouble with federal regulators. McBoyle told me that he wasn’t sure what he had seen, but knew that it wasn’t any kind of a weather balloon, or array of balloons. I’m not sure what my friend Christopher Allen (CDA) will make of this. He’s always wanting us to find stories that pre-date the big Roswell explosion of 1980. Clearly this fits the bill. The publication date of the article is Winter 1974, which means the issue was probably on the news stands a couple of months earlier, or in the Fall 1974 and I wouldn’t be surprised to learn that the article was written in 1973, given the lead time of these things. Six or eight months between submission and publication isn’t unrealistic. But, we do know when it was first published and this, I believe, makes it more credible.